Home Blogger SEO Set Up A Custom Domain In Blogger (Step By Step Guide). Set Up A Custom Domain In Blogger (Step By Step Guide). Hey Friends wassup.....!! 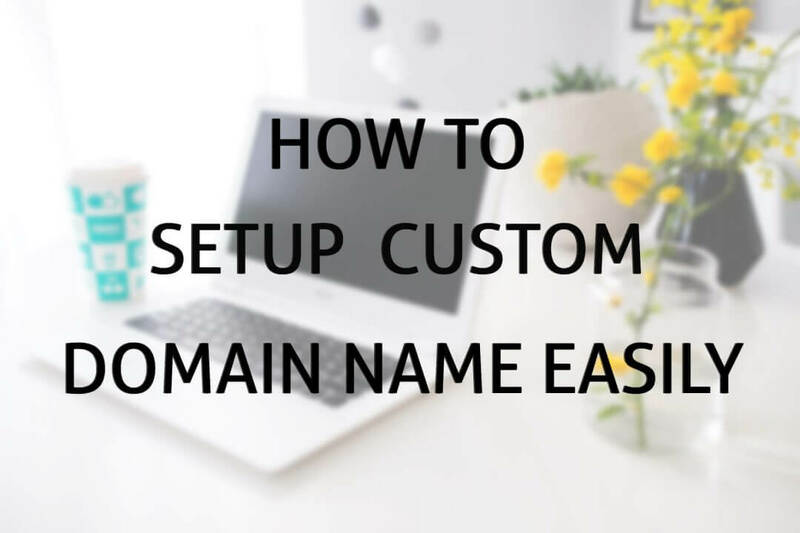 Today I'm gonna give you a step by step guide on the topic "how to set up a custom Domain in blogger". So as we all want to make our own website but sometime we just don't wanna spend any money, so at that time we reffer or use some free processes to make free website like blogger. But the disadvantage of these free site builder is that they use their company name on our site name or address like on bligger they add blogspot.com after our Domain name. Here we are taking example of Godaddy.. Step 1 :- First of all login to Blogger account. Step 2 :- Now click on your blog, then click on 'setting' and then choose 'basic'. Step 3 :- Now you will see a 'Blog address', bellow your blog address you will see a link named as "+setup a 3rd party URL for your blog" click on this. Step 4 :- Now just write your Domain name which you have purchased with 'www' in the box which starts with 'http://'. Step 5 :- Now there you can see a link named as "view settings instructions" click on it. Step 6 :- Now a new page will open just tick the option which says "on the top level domain (www.Domain.com)". Step 7 :- Now just scroll down or above and look for step 9 on that page (which you opened in step 5), bellow step 9 you will see 4 ip addresses juat copy them and paste on notepad. Step 8 :- Now just again go back to blogger page and tap on save. Now it will show you a error "we have not been able to verify your Domain athority to this Domain error 32" and show you some more data bellow. 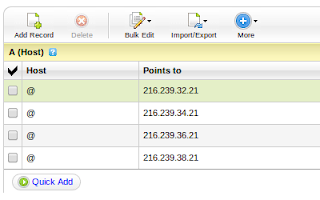 Step 9 :- Now bellow error it will show you two rows "name,lable or host" and "Destination,target or points to". Just copy the data from both the rows. 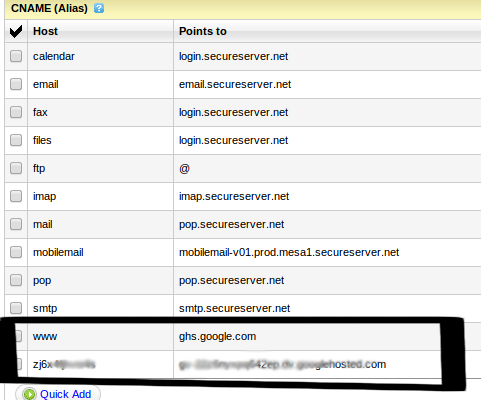 Step 10 :- Now just login to your Godaddy account and click on "my account" and then click on "manage my domains". Step 11 :- Now click on your Domain name which you have purchased now. Step 12 :- Now you will see a tab named as "DNS Zome file" click on it, and then click on "use classic DNS manager". Step 13 :- Now just click on the "Edit" button. Step 14 :- Now under "CNAME(alias)" menu you will see a button named as "quick add" just click on it. Step 15 :- Now a new box will open just write "www" in first box and "ghs.google.com" in second box. Step 16 :- Now again click on "Quick Add" button and again enter the data from second row which we have copied in 9th step. Step 17 :- Now under "A(host)" click on "Quick Add". Step 18 :- Just enter "@" in host field and paste 1st IP address ( which we have copied in 7th step ) in points to filed. If there is any IP address is existing already then remove or delete them. 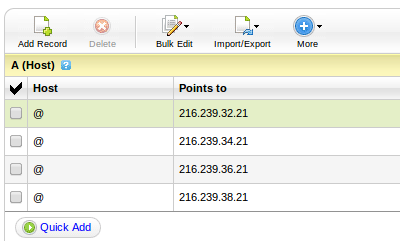 Step 19 :- Now just repeat above step 3 more times and enter "@" in all host field and enter rest of 3 IP address one by one in points to field. Step 20 :- Now just click on "save zone file" button. Step 21 :- Now go again to blogger settings and click on "Edit" button bellow you Domain address or Domain name. Step 22 :- Now just check the box which says something like this "Redirect.... to... " and click on "Save". Now just wait for 24 to 48 hours to update this information by Google. Then you can check your blog by your custom Domain. Now you have successfully learned how to Set up Custom Domain In Blogger.